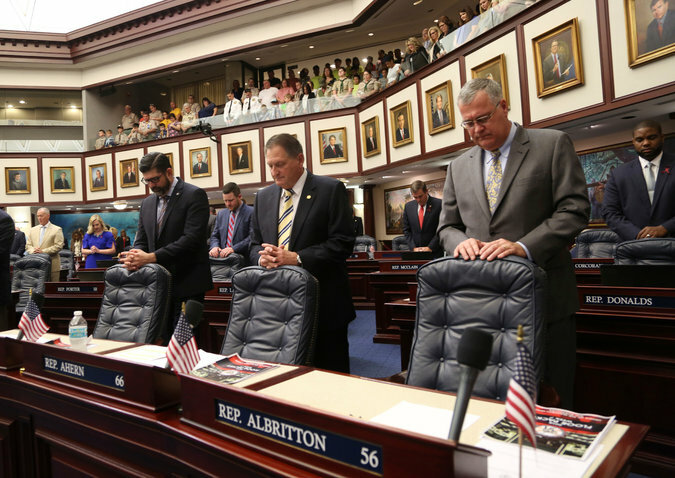 While I do not have much faith in the Florida legislative body enacting any gun control laws this late in its session (only 2 weeks left), there are glimmers of hope. With the latest polls indicating that Floridians strongly favor some restrictions on gun sales, maybe the lawmakers will find some courage to act. So far, the Florida legislators have been discussing mostly restrictions like raising the age required to purchase a semi-automatic rifle from 18 to 21; introducing a 3 day waiting period to purchase such guns; banning the sale of “bump stocks” which are mechanical device attachments that transform a semi-automatic rifle into a machine gun; and expanding a way to restrict mentally ill people with a penchant to harm themselves or others, to be able to purchase or keep guns. “A Quinnipiac University poll found 65 percent of voters support “stricter gun laws.” A whopping 96 percent support requiring background checks for all gun buyers. 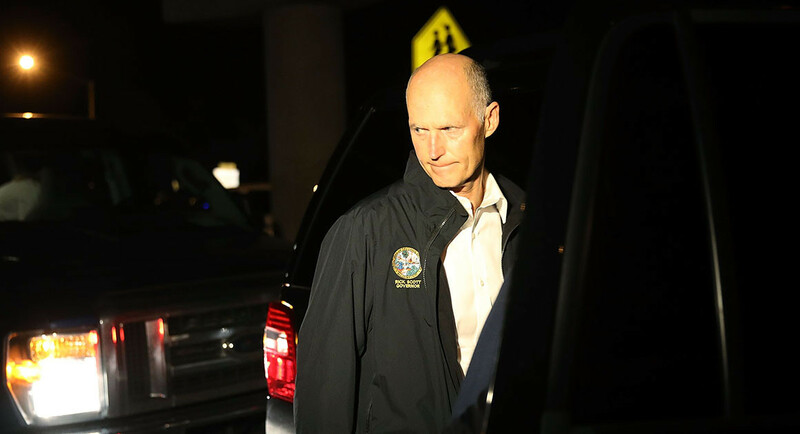 “Gun control may turn out to be a pivotal issue in the midterm elections and could well be the difference in a close race for the Senate between Rick Scott and Bill Nelson,” said Kevin Wagner, a political science professor involved in the poll. 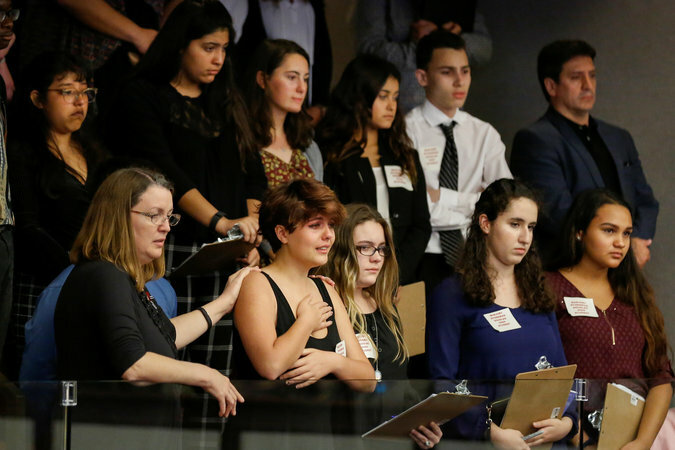 “While large majorities of Floridians support background checks and an increase in the age requirement, it is not at all clear that there is sufficient support for these measures in the Florida legislature. Feb. 24, 1984: Tyrone Mitchell, 28, used an AR-15, a Stoeger 12-gauge shotgun and a Winchester 12-gauge shotgun to kill two and wound 12 at 49th Street Elementary School in Los Angeles before killing himself. Oct. 7, 2007: Tyler Peterson, 20, used an AR-15 to kill six and injure one at an apartment in Crandon, Wis., before killing himself. June 20, 2012: James Eagan Holmes, 24, used an AR-15-style .223-caliber Smith and Wesson rifle with a 100-round magazine, a 12-gauge Remington shotgun and two .40-caliber Glock semi-automatic pistols to kill 12 and injure 58 at a movie theater in Aurora, Colo.
Dec. 14, 2012: Adam Lanza, 20, used an AR-15-style rifle, a .223-caliber Bushmaster, to kill 27 people — his mother, 20 students and six teachers — in Newtown, Conn., before killing himself. June 7, 2013: John Zawahri, 23, used an AR-15-style .223-caliber rifle and a .44-caliber Remington revolver to kill five and injure three at a home in Santa Monica, Calif., before he was killed. March 19, 2015: Justin Fowler, 24, used an AR-15 to kill one and injure two on a street in Little Water, N.M., before he was killed. May 31, 2015: Jeffrey Scott Pitts, 36, used an AR-15 and .45-caliber handgun to kill two and injure two at a store in Conyers, Ga., before he was killed. Oct. 31, 2015: Noah Jacob Harpham, 33, used an AR-15, a .357-caliber revolver and a 9mm semi-automatic pistol to kill three on a street in Colorado Springs, Colo., before he was killed. Dec. 2, 2015: Syed Rizwyan Farook and Tashfeen Malik, 28 and 27, used two AR-15-style, .223-caliber Remington rifles and two 9 mm handguns to kill 14 and injure 21 at his workplace in San Bernardino, Calif., before they were killed. June 12, 2016: Omar Mateen, 29, used an AR-15 style rifle (a Sig Sauer MCX), and a 9mm Glock semi-automatic pistol to kill 49 people and injure 50 at an Orlando nightclub before he was killed. Oct. 1, 2017: Stephen Paddock, 64, used a stockpile of guns including an AR-15 to kill 58 people and injure hundreds at a music festival in Las Vegas before he killed himself. Nov. 5, 2017: Devin Kelley, 26, used an AR-15 style Ruger rifle to kill 26 people at a church in Sutherland Springs, Texas, before he was killed. Feb. 14, 2018: Police say Nikolas Cruz, 19, used an AR-15-style rifle to kill at least 17 people at Marjory Stoneman Douglas High School in Parkland, Fla. While the NRA and various gun fanboyz are screaming about how unfair it is that they would have to make even minor concessions to save innocent lives, over on the dark side there is now a new cottage industry springing up selling instructions on how to convert many of these weapons into fully automatic mode. Their thought is that because the “bump stock solution” is about to be taken away from them, the ability to do the same thing in ways that is not obvious and in plain sight would work the best for them. The “Hell Fire Switch” also seems to be making a comeback and even the most clumsy person can manage to install that in most of these weapons and, once again, while they perform the same function as the bump stock, they can not be seen from the outside of the weapon. Often when people bring up the concept that ownership of assault weapons is covered under the second amendment, I make reference to the 1994 ban on assault weapon that expired in 2004. Banning assault weapons is not covered by the 2nd amendment. Whatever steps are taken now to pass any gun control measures, the Dems should jump on whatever they can get. They need to break the power of the NRA. If the republicans do a half hearted measure, they’ll regret it because they will anger both the NRA folks and the gun control proponents plus the’ll give the DEMOCRATS another winning issue to trumpet at the upcoming 2018 November elections. The kids are making a real difference. And those kids timing couldn’t be better. If the republicans don’t act, they will have handed the Dems another winning issue just in time for the Nov 2018 elections. I’m actually quite surprised to hear this announcement from Walmart, their company motto is profit before people! Good for them, they are savvy enough ride the empathy wave and retain customers. Clearly the times are changing for better gun control laws. I have never understood why any private citizen needs a semi-automatic or assault weapon. They should be restricted to the military and officers of the law. Period! Insanity! There is no good reason for non-military and non-law enforcement folks to have access to assault weapons and eventually we will get there but not until the democrats are the majority party by big enough numbers where they can override a presidential veto. Small waves beat against cliffs, it’s called erosion. 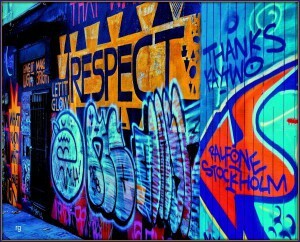 The times are changing . These young folks are great. There is hope.